Fixed: Session time field overwritting 'Total' title in shared file window when screen at minimum width. Fixed: ToolTipCtrlX - Fixed altered code for XP and above now it should work on 2000 and XP and above. Added: Implemented old style graphs option, the devs already coded it. 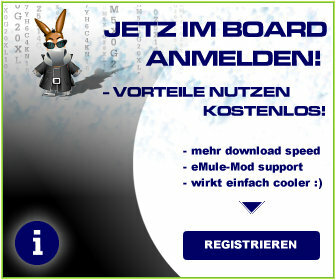 Rate eMule TK4.MoD @ emule-mods.de !!! Die Mod scheint nicht allzu beliebt zu sein. Edit: Die Frage habe ich mir auch schon gestellt Myth. Perhaps it's 'Da GuRu' himself?